Facebook Lead Ads are a great way to build high-quality leads from your Facebook audience. It’s the easiest way to generate leads from Facebook Ads. By just tapping few clicks on a lead ad, their details are automatically captured without the need for filling out an form. If you want to know what Facebook Lead Ads are and how they work, here is a simple infographic to help you understand the concept. 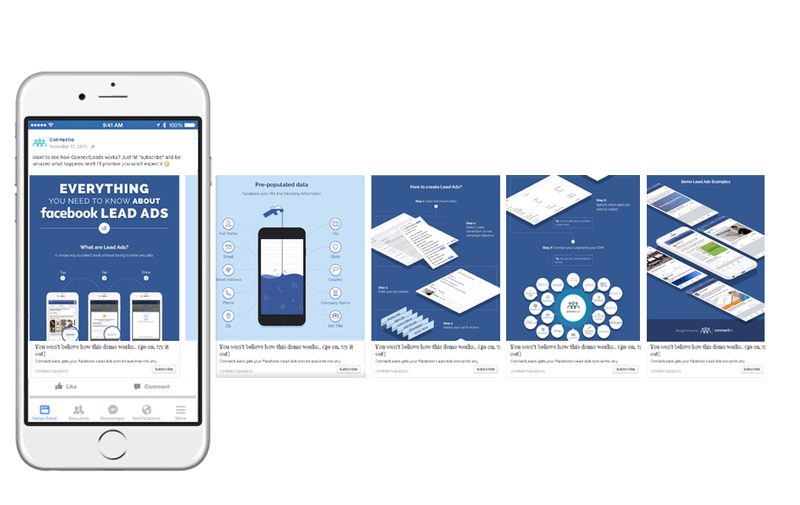 This cheat sheet will walk you through the process of understanding the terms, policy and the overall design and specs requirements for Facebook Lead Ads. 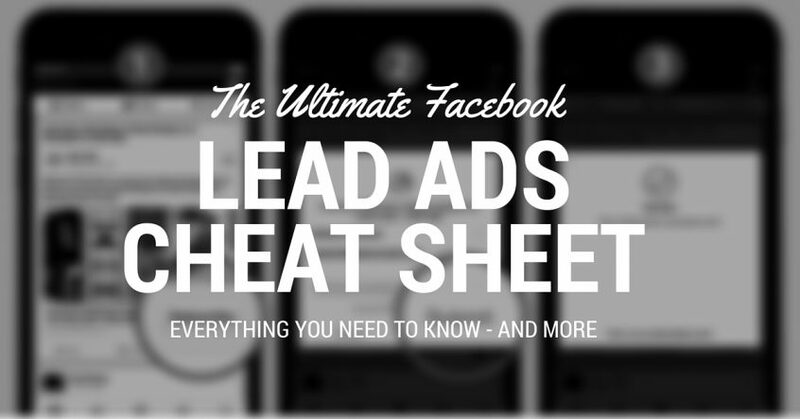 By using this Facebook Lead Ads Cheat Sheet Guide you will be able to design Facebook Lead Ads that not only gets approved by Facebook but will look good on all devices. How to get your Facebook Lead Ad approved? Facebook Lead Ad Terms and Policy is quite similar to standard Facebook Ads policy in many ways but it differs in the way advertisers collect and use that information. Understanding Facebook Lead Ads Terms and Policy is important as failure to do so can result in your ad being not approved or worse your Facebook Ads Account getting suspended. As advertisers are collecting name, email and other custom data from lead ads, Facebook has a very strict policy towards the collected lead ads data. Using Facebook Lead Ads, advertisers can gather either Facebook based template data or custom data. The template data is what is linked with and is already in Facebook database. Such as Name, Email, Date of Birth, country etc. Account Numbers – Such as loyalty card numbers, frequent flyer card numbers etc. Any data which is already in the template data. 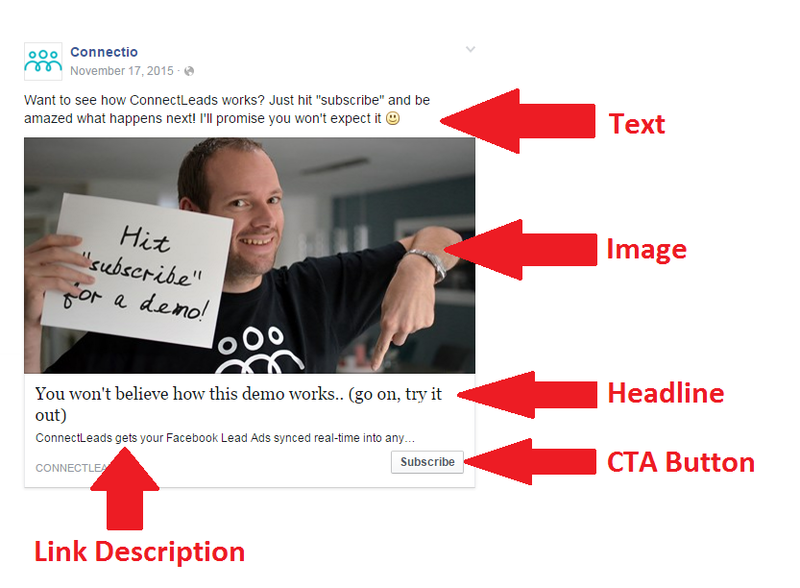 What are the types of Facebook Lead Ads ? So now you know the legal requirements of Facebook Lead Ads, we will now look into the design aspects of lead ads. Before we dive into the design specs of lead ads, it’s important that you understand the different type of lead ads available. Standard Lead – A standard Facebook Lead Ad Banner followed by the lead ad signup form. 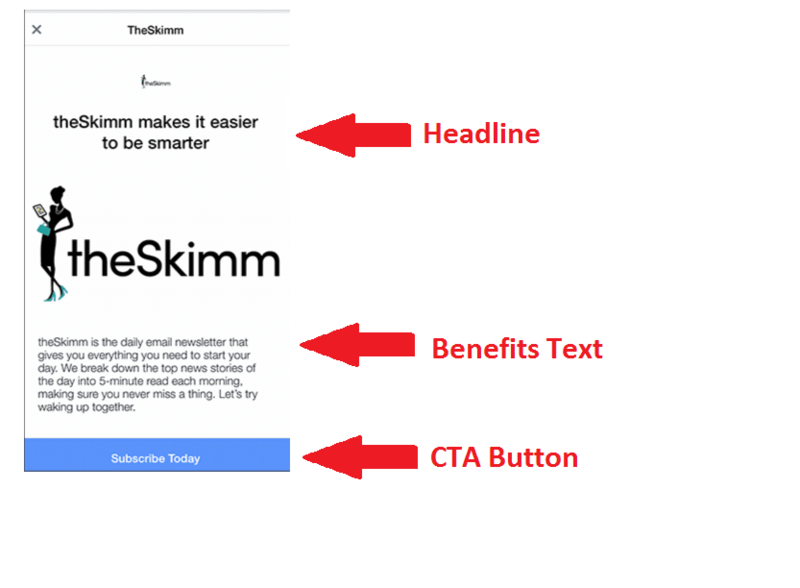 Lead Ads with Context Cards – Lead Ads with an additional page / card / message before the lead ad signup form. Video Lead Ad – A lead ad with video in it too. 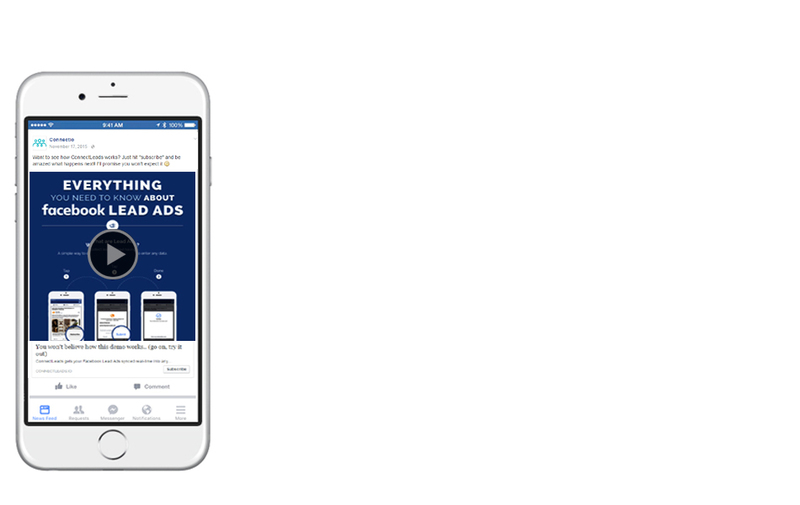 Carousel Lead Ads – Facebook Lead Ads with up to 5 different images. Standard Lead Ad which has the standard lead ad image, headline and link text followed by the signup form. The design and specs guidelines for lead ads are the same as regular link ads on Facebook. By default, Facebook requires Lead Ads to have high-quality images. The recommended image size is 1200×628 pixels. It can contain text, although it’s best not to use too much text. Facebook doesn’t want the text on the Lead Ad to exceed 20% of the overall ad. This means your headline and link description must be to the point. The recommended ad text is mentioned below. However, the 20% text policy doesn’t apply to embedded text on product, book covers, albums or any text that is part of the text. It applies to all text that in the logo, slogans, watermarks and other forms of writing text on images. Besides the actual banner ad, Facebook Lead Ad also enables you to insert an additional page before the signup form. Not only you provide additional marketing message here but you can also customize the text of call to action button on this page. The specifications for the Lead Ad Text and Image will remain same but the additional card / page has different specifications. Benefit Text – This text will be displayed under the image and it can have up to 80 characters when using “bullet” and no character limit when using Paragraph. CTA Button Text – Yes you can customize CTA button here with a maximum 30 characters. The video design guidelines help you to create an ad that looks good on mobile and desktop devices. You have to ensure that the video and its thumbnail image follows the guidelines below to have the best experience. The basic specs of video lead ad text and image will remain same as of standard facebook lead ad here. With the Carousel Lead Ad format, advertisers can display up to five images and headlines in a single ad. Carousel Ads are not new but now Facebook has merged them with a signup or learn more lead button. What Call to Action buttons can be used? What languages lead ads are available in? How to connect Facebook Lead Ads with your Autoresponder? When it comes to lead generation, prompt action on signups is essential. You are more likely to convert a lead if you approach them as quickly as possible after signup. 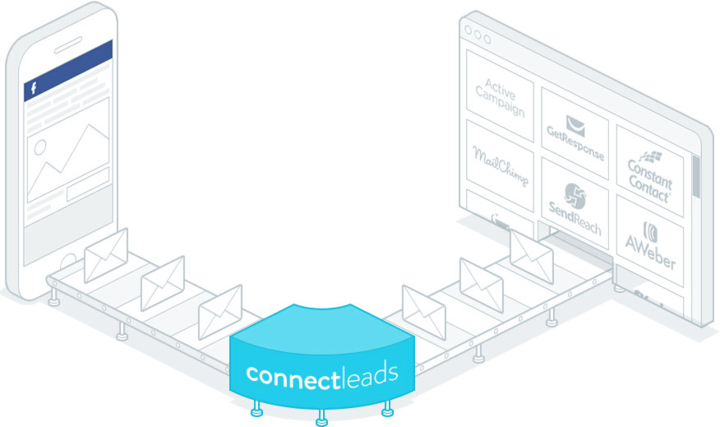 With ConnectLeads, you can connect your Facebook Lead Ads with your favorite autoresponder. So whenever, your leads signs up either via simple, carousel,video lead ad or context card lead ad on desktop or mobile, you can instantly send them the offer they signed up for. You don’t have to manually download lead data and feed it your email marketing system. The purpose of Facebook Lead Ads Cheat Sheet was to give you an overview of the design, specs and policies around the Facebook Lead Ads. These guidelines / recommendations will serve as the reference blueprint for creating Facebook Lead Ads. So whenever you create you lead ad campaign you can reference this guide to understand the image, text, call to action and other legal requirements, regardless of the type of Facebook Lead Ad you are creating.